Let’s talk about the patty shall we? Goodness… where do I start? 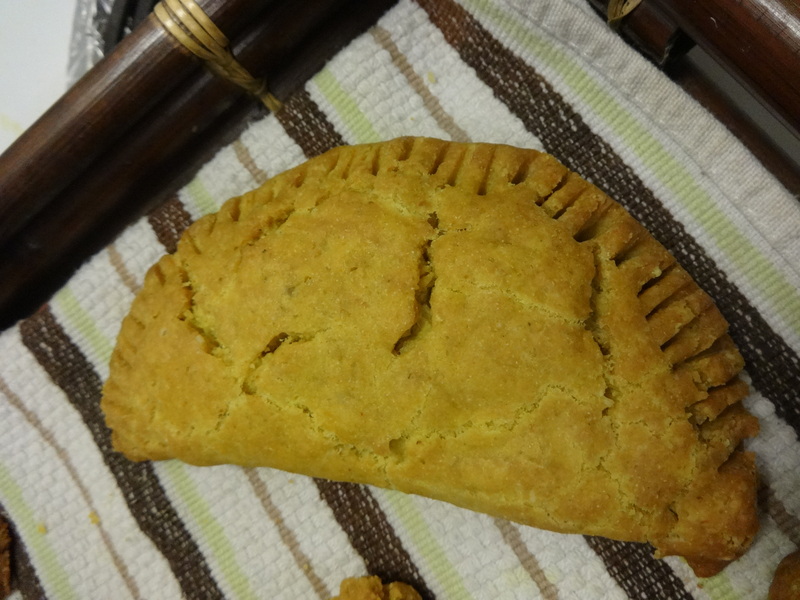 For many non-Jamaicans, the patty is their first encounter with and introduction to Jamaican food culture (well, either the patty or reggae. Or Bob Marley. Same ting). 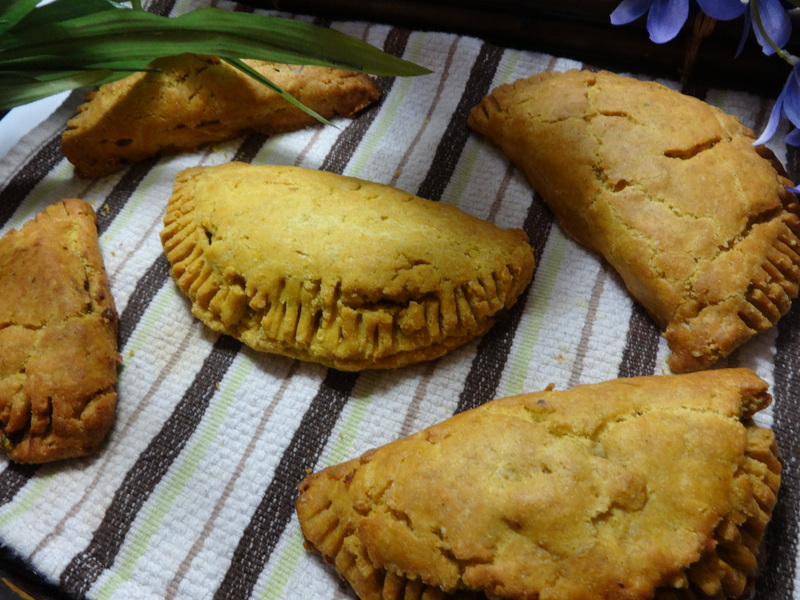 No other Jamaican food has seen the same popularity and proliferation as the Jamaican patty. I’ve been to my fair share of cafeterias and fast food restaurants in Canada. Unless the restaurant is a Jamaican restaurant (general West Indian restaurant doesn’t cut it, sorry), most likely what you have seen and eaten is a cheap imitation of a Jamaican classic. 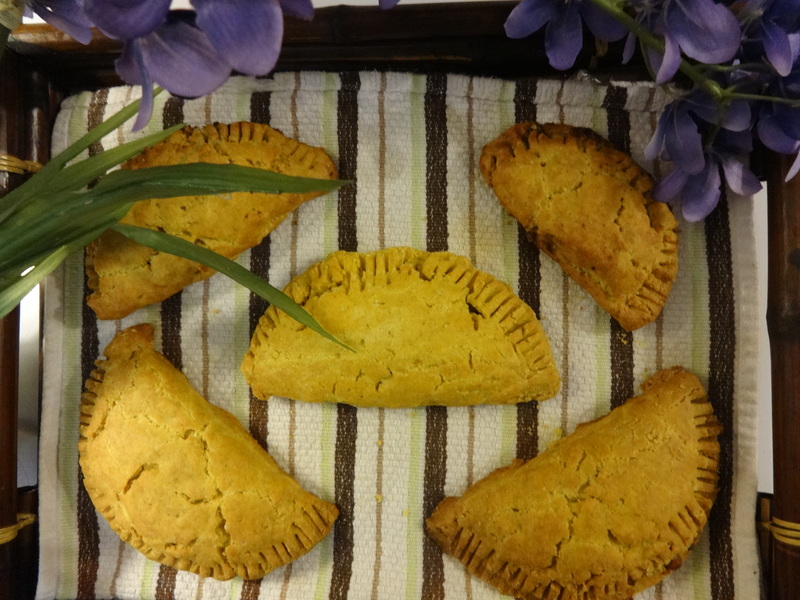 I have an *smh* moment every time I see a random pastry marketed as a “Jamaican patty” when it clearly is just a rebranded meat pocket. 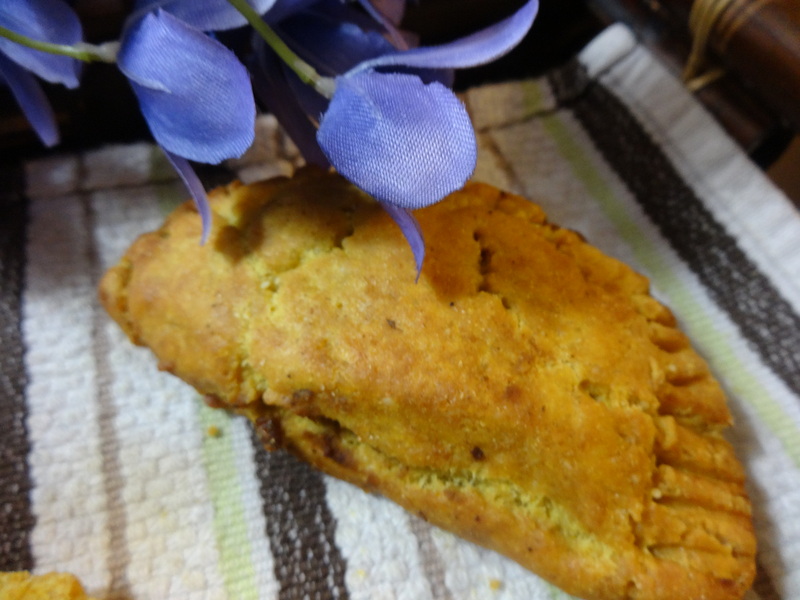 The patty is the original fast food in Jamaica. 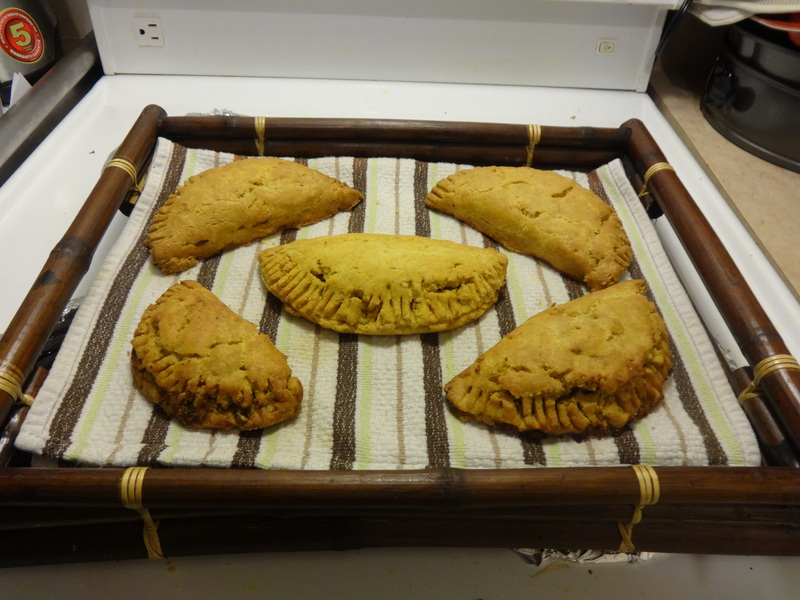 People would line up at patty stands to get their beef patty and cocoa bread (ahh…. *sigs wistfully* That’s another story…) and a box drink (aka juice box, or peanut punch. *brap*). Here’s my take on the veggie patty. This recipe can make patties satisfyingly big enough for lunch, or patties that are more suitably served as appetizers (depending on how small you cut your dough). Serve hot with a cold ginger beer. You will also need a small bowl to help you cut out patty shapes. Prepare the Pastry Crust: In a large bowl, mix together the dry ingredients until well combined. Add the oil or shortening, and quickly use your fingertips to break up and evenly distribute the fat throughout your dough. You want to use your fingertips create what has the consistency or corn meal or sand. Pour the cold water into your dough little by little and continue to knead (quickly and not excessively – you don’t want the fat to melt) until a round dough has formed. Separate your dough into two round balls/mounds, wrap them in plastic wrap and place them in the fridge for anywhere from 20 mins to overnight. Note, if you are using the gluten-free recipe and you leave your dough in the fridge overnight, you may have to use cold, wet fingers to moisten the dough and make it easier to roll out. Make the Filling: While the dough is in the fridge, make your patty filling. Cook the lentils according to package directions with the scotch bonnet pepper. You may cut up the pepper if you want a really spicy patty. A few minutes before the end of cooking, and while there is still some water left in the pot, turn your heat to medium and stir in all of the other ingredients until everything is cooked. Set aside. Sprinkle your counter or working surface with flour. Once the refrigeration time has elapsed, take one of the dough mounds out of the fridge and roll it out onto the prepared, floured surface. You may wet your hands under cold water to moisten and smooth the dough if it starts to crack. Roll the dough out until ¼ cm thick. Using your bowl, cut out circles in your dough. 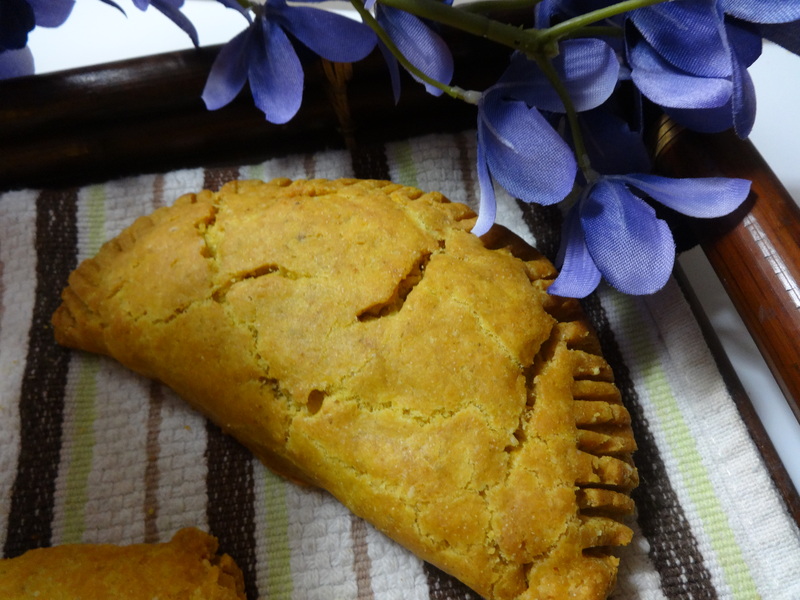 Fill in half of your circle with a spoonful or two of your lentil filling, making sure to leave a rim around the edges. Do not overfill your patty (I know it is tempting!) 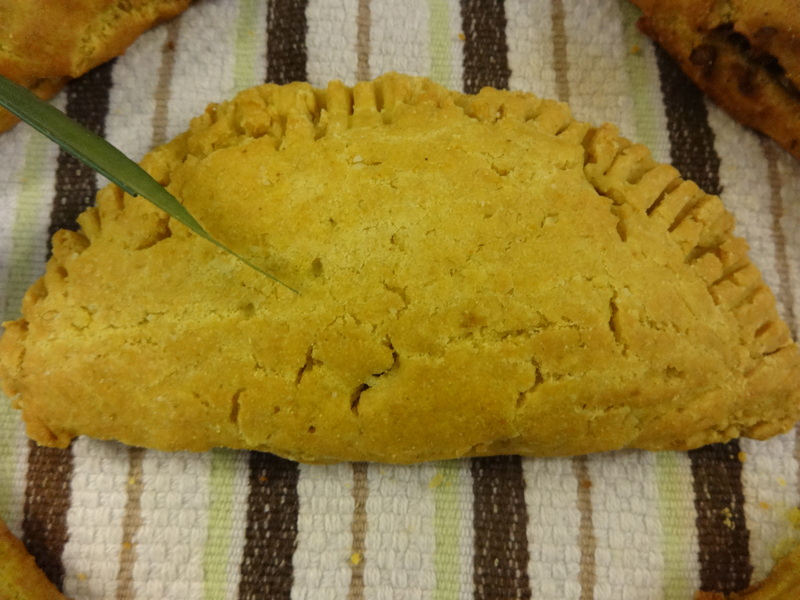 Fold over the other half of the circle over the filling, and use the tines of the fork to seal your patty around the edges (almost like crimping the edge of a pie). If your dough begins to crack, you may wet your hands under cold water to moisten and smooth the dough. Prick the top of the patty to make a few holes so that air can escape while baking. Repeat step 8 with the remainder of the pastry and the filling. 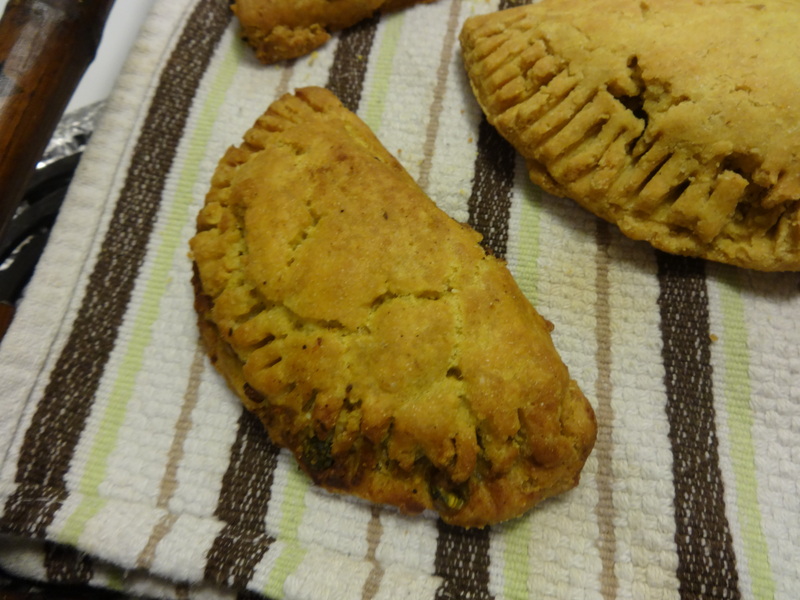 Place your patties on a silpat/silicone baking sheet or greased cookie sheet and place the patties into the oven. Bake for 30 minutes or until golden. Serve hot. 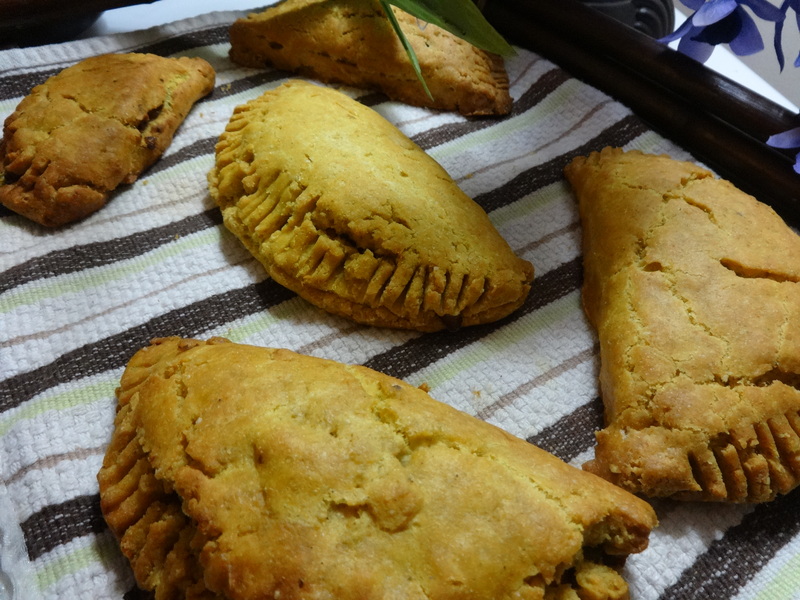 Patties can also be frozen once cooled. Tip: The key to making a flaky crust is to work quickly and keep your ingredients cold (flours and fats in particular) so that the fat doesn’t excessively melt. Thus, I would advise that you refrigerate your dry ingredients beforehand and make sure you have everything ready before you attempt to make the crust.